The harvesting of single cells or filaments is done by centrifugation, filtration, or flocculation (Figure 5). The selection of the actual harvesting method depends on the dimensions of the organism. Some filamentous and large cell strains can be separated by filtration using vibrating screens. Flocculation is the collection of cells into aggre gates by the addition of polymers (e.g., polyaluminum chloride). This method is frequently used to remove natural water blooms. 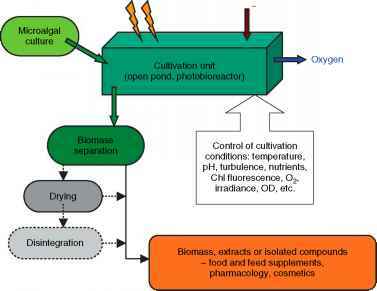 Figure 5 A schematic diagram of microalgal biomass production and processing. Microalgae are grown in a cultivation system in the mineral medium under illumination and CO2 supply. The biomass is separated from the medium, disintegrated, and dried. It can be used as a food or feed supplement, health food, or as a source of bioactive substances for pharmacology and cosmetics. The disruption of microalgal cells is an important operation in biomass processing since some cells have a tough cell wall. 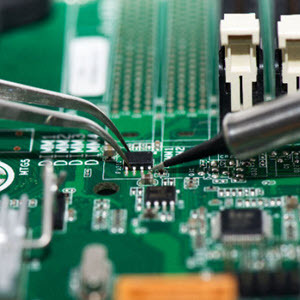 This is done mechanically in homogeni zers, BeadBeaters, and ultrasonicators, or by chemical methods. Dehydration of the microalgal slurry is achieved by sun drying, spray drying, or lyophilization. The latter is the gentlest method since it is based on the sublimation of water from the frozen biomass under vacuum. In spray driers, the concentrated suspension of microalgal cells is sprayed into hot air in a closed chamber and the dried biomass collected; this method is the one mostly used on an industrial scale.